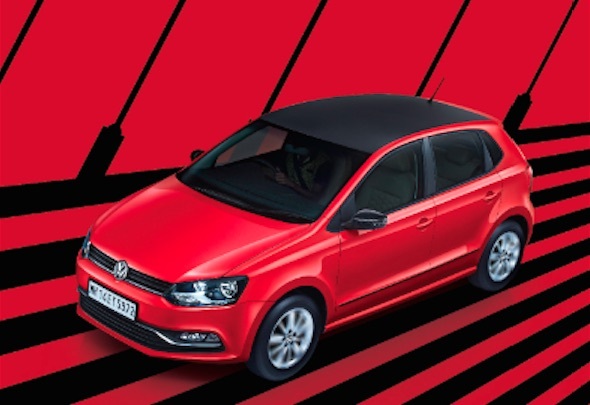 Leading Car manufacturer, Volkswagen announces the launch of limited edition Polo in India. The all new Volkswagen limited edition will be endowed with stylish new exterior features and the limited edition Volkswagen Polo is aptly termed ‘Polo Exquisite’. From 9th October 2015 onwards, Volkswagen Polo Exquisite would be available at all Volkswagen showrooms across India. We are very excited to present India’s favorite hatch back in its new avatar, the Polo Exquisite. This new limited edition Polo which effortlessly boasts of stunning features like black roof foil, detachable made-tosize window blinds and carbon fibre finish on ORVMs further cement its place as the sporty, dynamic and a powerful hatch in the hearts of its owners. Volkswagen Polo comes equipped with best-in-class safety features like ABS ( Anti-lock Braking System), dual front airbags as standard fitment and is the only hatchback in its segment with 4-star NCAP safety rating for adult occupants. All Volkswagen customers could avail of these new features by upgrading to the Polo Exquisite at an attractive cost on Polo Highline (Manual Transmission) models across all Volkswagen dealerships in India.